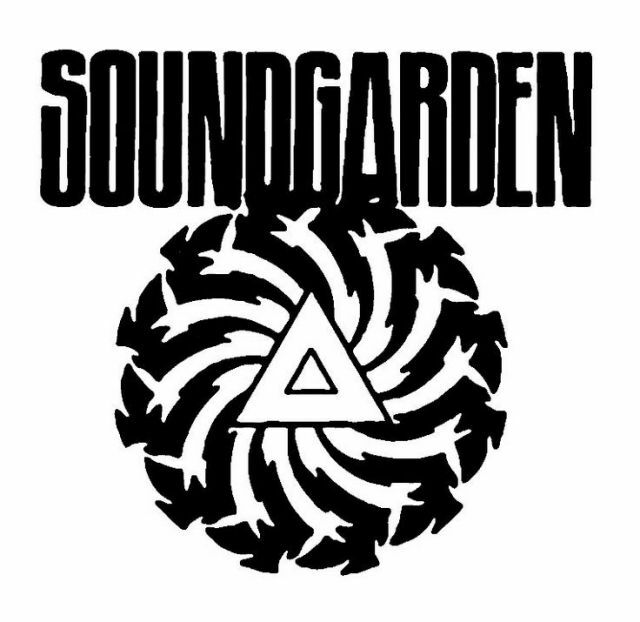 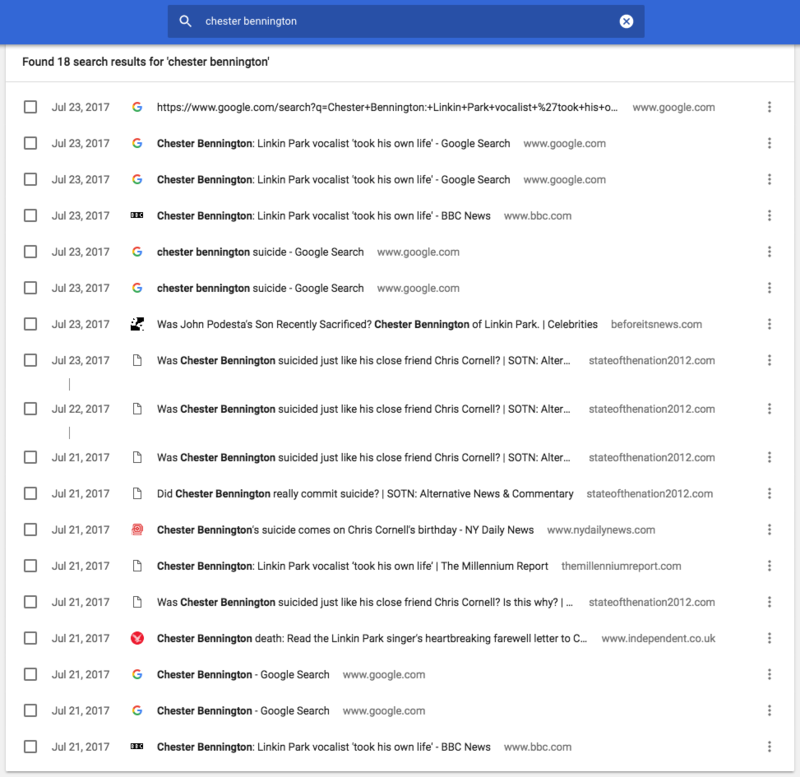 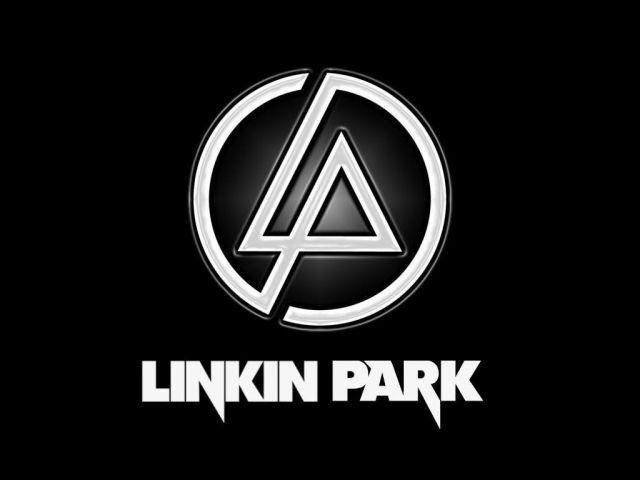 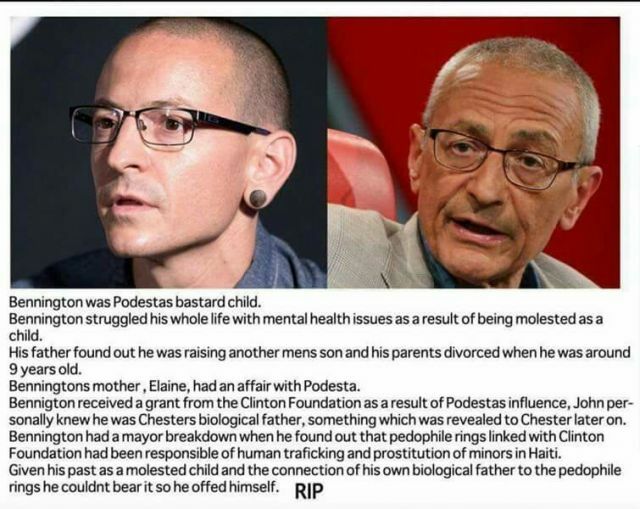 Now, please look at the photo of Chester Bennington at the very top of this post. 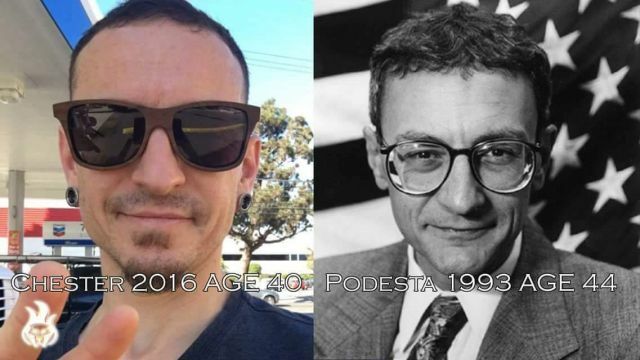 We first saw that photograph in the BBC article on the 21st and genuinely thought the BBC had incorrectly inserted a picture of JOHN PODESTA — at a spirit cooking ritual — into their video. 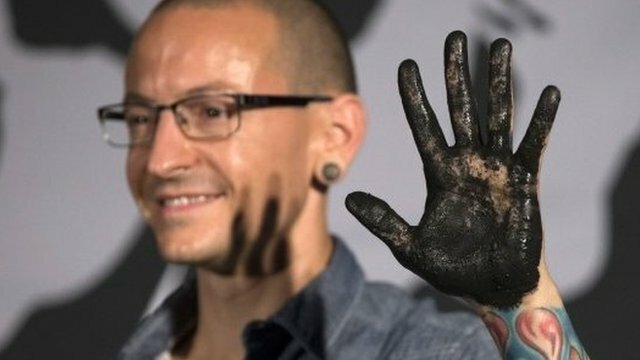 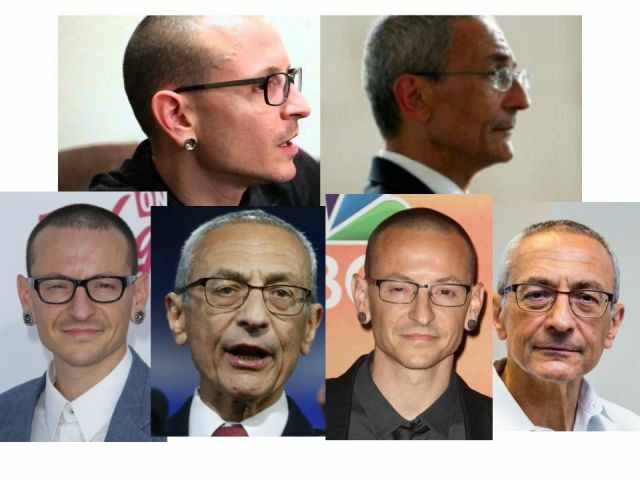 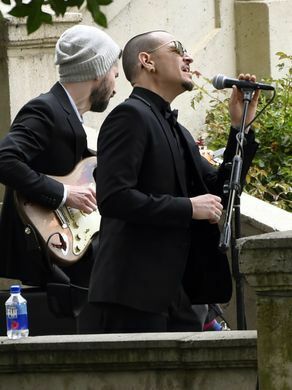 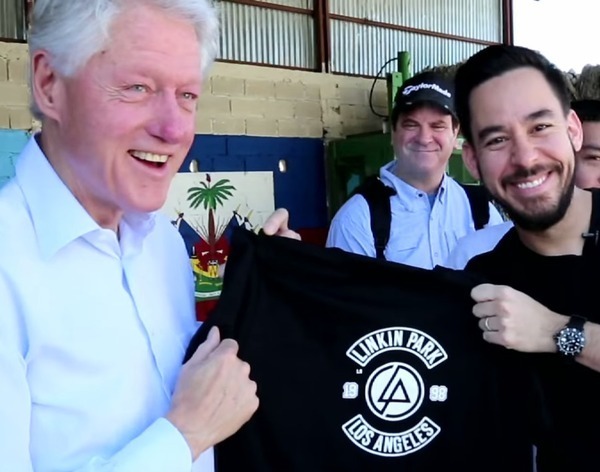 After ‘rubbing our eyes’ a few times, we finally came to the realization that Chester Bennington really does look exactly like John Podesta! 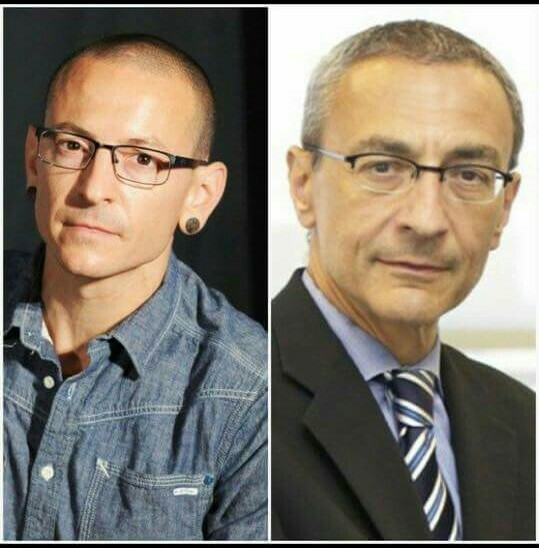 As the picture below illustrates, they are almost identical. 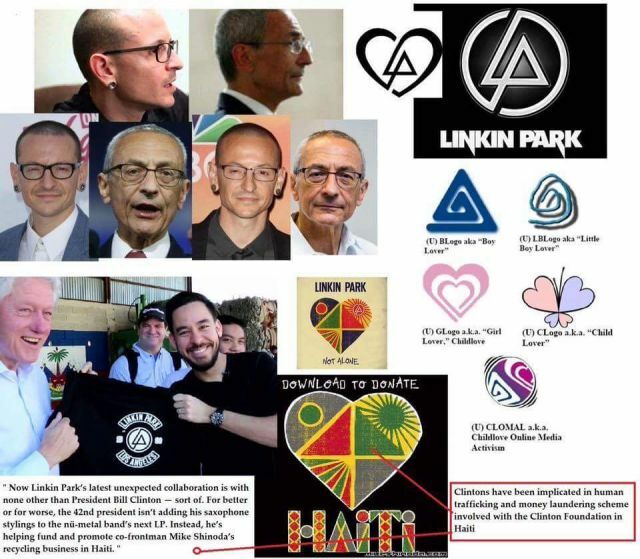 As for John Podesta, he was not only Hillary Clinton’s campaign chairman throughout the ’16 presidential election, he was also President Bill Clinton’s Chief of Staff and President Barack Obama’s “Counselor to the President”. 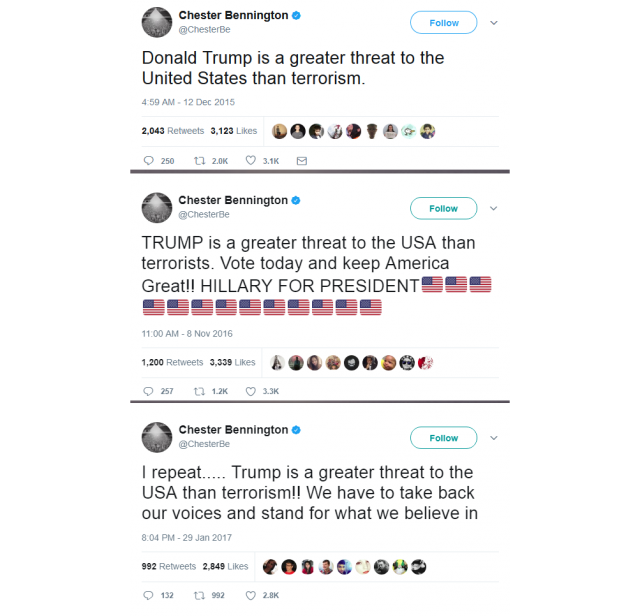 How does a powerful agent of Deep State, who is such a bad actor, get placed into these key White House positions?